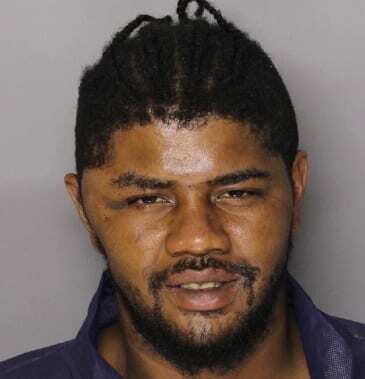 Police in Baltimore County have charged Eric Maurice Glass, 30, of the 2500 block of Wentworth Road in Parkville (21234) for the fatal shooting of his pregnant wife. At just before 10 p.m. on Tuesday, May 1, police responded to the 2500 block of Wentworth Road for a disturbance. After the initial response and investigation, detectives were able to determine that Glass shot his 30-year-old wife, Jasmine Alisha Kennedy. After shooting his wife, Glass shot himself in the head. The suspect then punched the victim’s 14-year-old son. The children inside the home were able to leave the house and go to a neighbor’s home for help. Glass then came to the neighbor’s house, forced his way inside the residence, and assaulted the occupants inside. Once outside again, the suspect was detained by another neighbor until police arrived and took Glass into custody. Jasmine Kennedy was transported to a local hospital when medical personnel determined that she was pregnant. Physicians were able to remove the child from the victim. Mrs. Kennedy was in critical condition and placed on life support. At just after 5:30 p.m. on Wednesday, Jasmine Kennedy was removed from life support and pronounced dead.